Cycling can really help improve your overall health as you can see from reading this post below. By adding just a half-hour of exercise to their daily schedule, people are able to make a positive improvement in their subjective mood and feeling of well-being. Combining the results of multiple studies through meta-analysis shows a strong correlation between an active lifestyle and better moods. The data examined here concentrated specifically on people who engaged in physical activity casually rather than through organized sports. Biking makes a superb way to make our lifestyles more active. If nothing else, we all have errands we could run on a bike instead of on our feet or in a car. William McGuire (and colleagues) theorized all the way back in 1976 that our thoughts about ourselves play a central role in the way we think and live. The truth of this theory is endlessly arguable, but you don't need to embrace it whole-heartedly to agree that the way we think about ourselves matters to how happy we are and how satisfying we find our lives. Maintaining a positive view has never been easy, and today's technology adds brand-new challenges. We're bombarded by constant information through social media, inviting us to compare our lives to others and tempting us toward self-deprecation. Feeling the Instagram blues a little extra-hard today? Reach for your bicycle for a quick cure. Another meta-analysis of research data confirms the link between physical activity and self-esteem. Most interestingly, the intensity and duration of physical activity don't seem to matter; engaging in any amount of activity helps you to feel better about yourself. Whether you make bicycling a part of your daily commute or just take the occasional joyride, you're doing wonders for your self-perception and self-esteem. Noteworthy research - particularly a long-term study conducted in California's Alameda County - showed that physical activity helps fight depression. This is a remarkably long-lasting effect; the study found that people who were extremely active were less likely to need treatment for depression later in life. The research factored out other influences, such as socioeconomic background, social factors, traumatic life events, and varying health habits. The link between physical activity and reduced depression risk was constant, regardless of individuals' different circumstances. Multiple other studies have shown that physical activity can have a powerful therapeutic effect on depression when people are already suffering from it. In fact, it can be as beneficial as any other therapeutic technique for treating depression. Unlike many other treatment options, increased physical activity has no negative effects. Occasional feelings of anxiety are nothing to worry about; everyone feels anxious once in a while. When it gets severe and recurs frequently, though, anxiety can become an extremely difficult condition. Chronic anxiety conditions include social anxiety, panic attacks, and many other disorders that have a negative impact on our quality of life - sometimes quite severe. Anxieties can impede a person's ability to meet responsibilities, maintain relationships, or hold a job. A research study from 2001 verified that aerobic exercise can help reduce the likelihood of anxiety issues. Exercise functions to reduce anxiety sensitivity and make it harder for major episodes (such as panic attacks) to take hold. Although the study showed that aerobic exercise was most effective for this purpose at a high intensity level, lower-intensity activity also has a beneficial effect. Feelings of stress affect a full 70 percent of adult Americans every day. We have a huge range of potential coping mechanisms to help us deal with this stress, but exercise is particularly effective. It's no accident that more physical activity is the most common stress-busting recommendation offered by healthcare professionals. Being more active lifts our mood, relieves physical tension, boosts endorphin production, and counteracts stress tendency to disturb the sleep cycle. Working out in a gym or swimming laps in a pool are great ways to get the exercise you need for your physical and mental health. Biking offers a few added benefits when compared to indoor activities, though. Exercise's positive mental health impact is actually greater when you do it outside. This was verified in a 2011 study on the mental effects of physical activity. Individuals exercising outside reported higher energy levels, more positive engagement, and greater revitalization. Outdoor exercisers also scored lower in tension, anger, confusion, and depression. 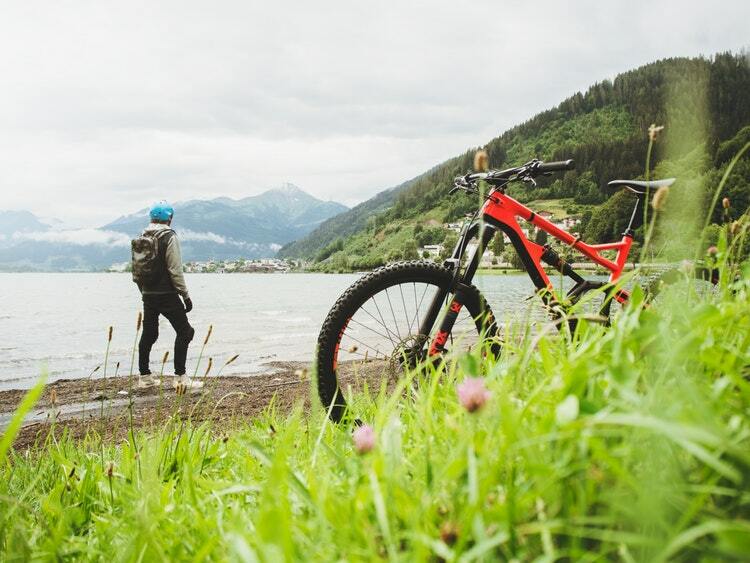 All kinds of physical activity help your mental health, but activities you can do outside like biking; do significantly more.